This mixed media painting course aims to familiarize students with mixed media using acrylic, gouache or watercolour paints with various mixed techniques. We will explore the processes of creation in figurative or abstract styles. Content of the mixed media workshop. General objectives. Personal expectations of everyone. General explanation of the content of the workshop. Learn the notions of the composition of a work of figurative painting (or abstract) in mixed media. Concept and structure of the composition. Various types of compositions. Explanation of course objectives. Explanations of the particular requirements for the creation of works according to the medium (s). Creation of preparatory sketches. 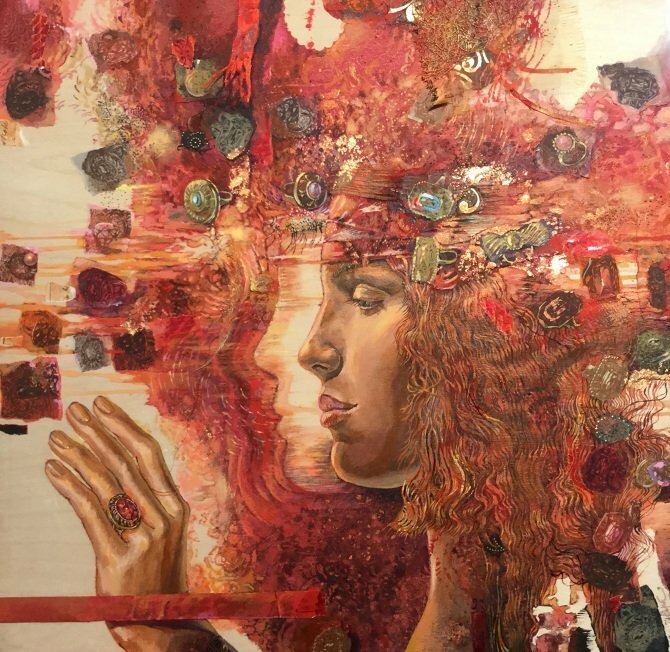 Learn how to manage the stages of making a figurative or abstract painting in mixed media. Exploration of languages and various classical and contemporary techniques. Explanations of the specific technical requirements. Choice of the medium (acrylic, gouache, watercolour). Realization of the work (acrylic, gouache or watercolor) in a format 16 "x 20". Acrylic, canvas in 16 " x 20" format or wooden board in 16 " x 20" format, Acrylic brushes, different materials for the creation of textures (bonding paper, metallic threads or metal powders ...). Canson paper (white and coloured), support for paper, gouache, adhesive tape, watercolour brushes, different materials for the creation of textures (collage paper, metallic or textile threads, metallic powders ...). Watercolour paper, paper holder, watercolour, adhesive tape, watercolour brushes, different materials for the creation of textures (collage paper, metallic or textile threads, metallic powders ...).